This Sunday was the one year anniversary of the Tohoku Earthquake. Around the country, people paused at 2:46pm—the moment the quake first hit. On Saturday, I noticed a display at a shopping mall of manga art from some of Japan's most famous manga artists. Each of them drew pictures and wrote encouraging messages. The result is not only spectacular, but touching. 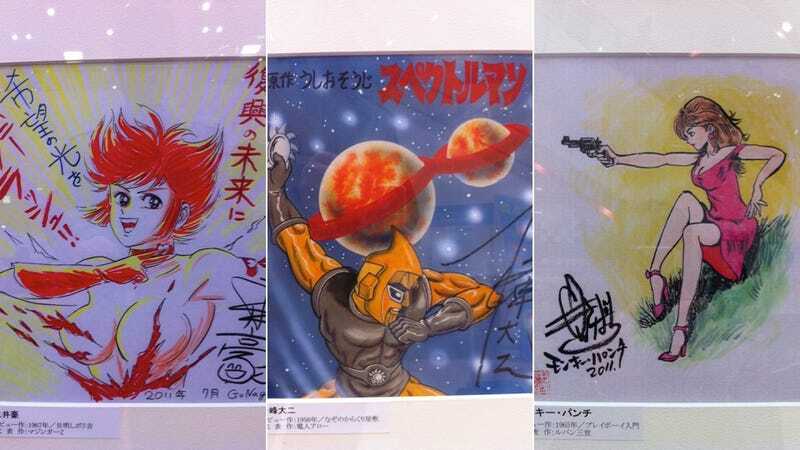 Some of the manga artists include Osamu Akimoto of Kochikame fame, Monkey Punch of Lupin fame, Go Nagai of Cutie Honey fame, and 93 year-old Takashi Yanase, the creator of Anpanman. Have a look at the art in the above gallery.